Tuesdays 12 noon for 30 minutes in Newry Sports Centre. Start date to be advised. A. 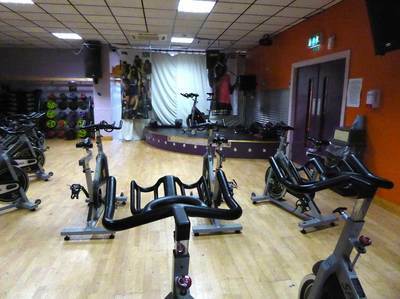 Spinning is a form of exercise done on a bicycle fixed to the floor in a sports hall setting. The class is conducted by a qualified tutor with upbeat music in the background. Q. Surely that sort of thing is for young fit people, not old age pensioners. A. On the contrary, it's the old age pensioners who need to build their muscular and cardio-vascular fitness so that they can reduce their risk of stroke, heart disease, type 2 Diabetes etc, keep their hips and knees supple and so be in better condition to enjoy the years ahead. A doctor once said that if exercise could be compressed into a pill then it would be hailed as a miracle drug for the effects it would have! Q. Should I ask my doctor's advice before starting this class? A. You will be asked to complete a simple health questionnaire (9 yes/no tick boxes) and based on that you may be advised to consult your doctor. But if you have any specific health concerns then certainly contact your doctor and seek his/her advice. Q. My level of physical fitness isn't good, would I be able to keep up? A. This class is for U3A members only. There will be no outsiders, no fit young people to cause you embarrassment. As well as that each person can go at their own pace, whatever suits you. This class is for people who are not fit. Q. Can I try it for a couple of sessions and back out if it is not for me? A. £3 per session - paid to the U3A. Q. Where and when will this class take place? A. This class will be held in the Studio room in Newry Sports Centre.. 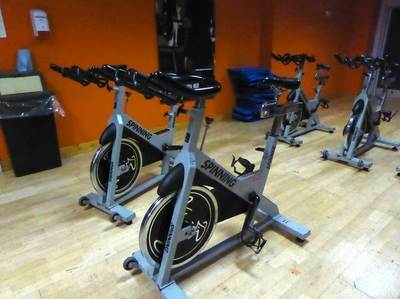 They have facilities for up to 40 people per class. The class will be every Tuesday. It will start at 12noon and will last for 30 minutes - provided there is enough interest! Start date to be advised. Q. Who do I contact to put my name down? A. John Doyle at johndoyle028@btinternet.com or by text to 07787108146. Let me know your availability for Monday, Tuesday or Wednesday mornings.